The University of Denver — founded in 1864 and one of the most prestigious private universities in the U.S. — is going green. DU’s scenic south-Denver campus is a stone’s throw from some busy recreational pot shops, and soon students at DU’s Sturm College of Law will have the opportunity to take a class on cannabis law: Representing the Marijuana Client (or L4700, for you Pioneers). The post Representing the Marijuana Client: Yes, it’s a legit class at DU’s law school appeared first on The Cannabist. In California’s Emerald Triangle, illegal marijuana accounts for a quarter of Humboldt County’s economy — at least. Legal pot is coming to California whether we agree with it or not. Plan now or fail. The post Editorial from Emerald Triangle: Plan for California 2016 legalization, or fail appeared first on The Cannabist. Nevada will soon become one of the few states in the nation to allow those from out-of-state who have a recommendation for medical cannabis to purchase the medicine through state-licensed dispensaries. Other states that honor medical cannabis recommendations from out-of-state include Arizona, Delaware, Maine, Michigan, New Hampshire and Rhode Island. In June, 2013, Nevada Governor Brian Sandoval signed into law legislation which legalized medical cannabis dispensaries. The state’s first dispensaries are expected to open by early next year. Earlier this month, activists submitted more than enough signatures to put the full legalization of cannabis to a vote of the people in 2016; these signatures are awaiting verification (ensuring enough are from registered Nevada voters) from the state. 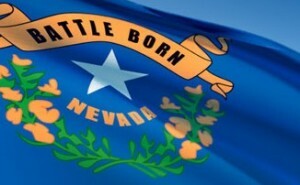 The post Nevada to Honor Out-of-State Medical Cannabis Cards appeared first on The Joint Blog. State-level marijuana law reform won big in this month’s elections, with legalization initiatives triumphing convincingly in Alaska, Oregon, and Washington, DC. The Florida medical marijuana initiative lost, but only because it had a higher bar of 60% of the popular vote. It ended up with 57%, a clear sign of solid majority support. And don’t forget Guam — the US territory approved medical marijuana with 56% of the vote. All in all, a good year for marijuana law reform, the second good election year in a row. Since 2012, voters in four states and DC have been asked to legalize marijuana. They’ve now said yes in all of them. California, of course, is the big prize, and efforts are already well underway to ensure that legalization is on the ballot in 2016 — and that it actually wins this time. Arizona and Nevada are also on the radar, and the Nevada initiative campaign has already turned in twice the number of signatures needed to make the 2016 ballot. “In Nevada, the petition drive has just wrapped up. At this point, our goal there is to pass the ballot initiative; if the legislature chooses to take an objective look and give it some real consideration, that would be excellent, too,” he said. A little less than two years out, it’s a work in progress, said Gieringer. “Pretty much all the leading groups interested in drug reform are interested in collaborating, but exactly how that will work hasn’t been settled yet,” he said. Although more than any other group in the coalition, CANORML represents the interests of marijuana consumers, Gieringer said it’s not pot smokers or growers who are going to make an initiative victorious. Maybe Missouri’s Show Me Cannabis will show us all. Legalization could also pop up in some unexpected places, too. While the major movement organizations already have selected targets for 2016 and have plans well afoot, things could break faster than the big players anticipate, and local activists in some states — Arkansas and Missouri, for example — may manage to get initiatives on the ballot without significant outside support. Those Ozark-area efforts don’t have the backing of big national organization behind them, but that could change. Led by indefatigable Tim Beck, Michigan activists have managed to pass municipal personal legalization initiatives in all the state’s largest cities in the past few years. This year, they went eight for 13 with similar initiatives in smaller Michigan communities. Michigan voters also approved marijuana in a statewide initiative in 2008, but, for Beck, getting the state’s dispensary situation settled — not legalization — is the first order of business. “Although the state legislature is totally controlled by the GOP, we’ve been working with them, and they’ve kind of seen the light on a regulated system with a lot of local control, which is big with Republicans,” he said. “We have one of the best medical marijuana laws in the country, and it’s going to get better with a regulated dispensary system, as well as ingestibles. We won 95-14 in the House, and it’s going through the Senate now,” he said. While Beck counsels patience, Nadelmann is counseling prudence. And while he is of course happy that all the legalization initiatives passed, he doesn’t want people to think it’s going to be a walk in the park from here on in. And don’t forget federal pot prohibition. Congress has not been especially responsive to growing support for marijuana legalization, and there’s no reason to expect that to change anytime soon, Nadelmann said. “It’s hard to imagine Congress playing any sort of leadership role on this stuff,” he explained. Maybe when we have 24 legal marijuana states, not just four of them. That means there’s still plenty of work to be done at the state house and the ballot box. The post The March Toward Marijuana Legalization: 2016 and Beyond appeared first on The Joint Blog. “It was either Vegas or Colorado,” said “Wilma”, a D.C.-area woman, of her 40th birthday vacation plans. Wilma along with friend “Betty” were in Denver, sans husbands and children, to spend a Saturday on the “One-Day Dispensary and Grow Tour” offered by My 420 Tours. And I was on the tour with them — reviewing the outing for you and other Cannabist readers. So are these marijuana tours worth your money? Read on. 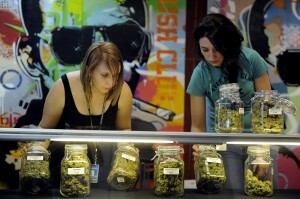 The post Review: Are marijuana tours in Colorado worth your time and money? appeared first on The Cannabist.